The generation that matters most to you is the next one. Ovation Fertility™ was founded to ensure your family continues to grow even when female infertility challenges stand in the way of your becoming a mother. As a nationwide network of world-class fertility scientists and partner physicians working as one, Ovation Fertility can deliver next-generation fertility solutions to you, today. Ovation Fertility and our partner physicians investigate and effectively treat female infertility with a dogged determination and a comprehensive set of services. Our board-certified reproductive endocrinologists will walk you through every available option and will restore your hope for starting or growing your family. Female infertility generally stems from ovulatory or anatomical issues. You may have hereditary conditions beyond your control or may simply have a slightly advanced maternal age. Previous surgeries, an elevated body mass index or irregular periods can alert us and your physician to potential problems. 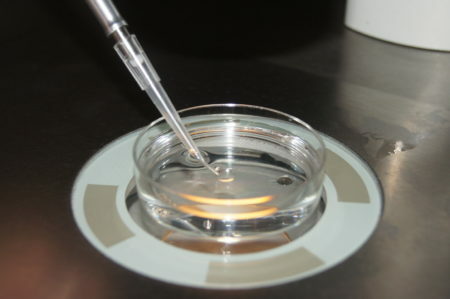 The important first step in resolving female infertility is identifying the underlying cause. Fortunately, Ovation Fertility partners with some of the most recognized and sought-after physicians in the world, who offer next-generation diagnostic and treatment tools found in only the most elite fertility centers in America. By partnering with Ovation Fertility’s scientists and partner clinic physicians, you are giving yourself the best chance to meet your next generation. Female infertility can make it difficult to conceive, but we refuse to let go of the possibility. Contact Ovation Fertility today to learn how we can help you overcome your infertility challenges.